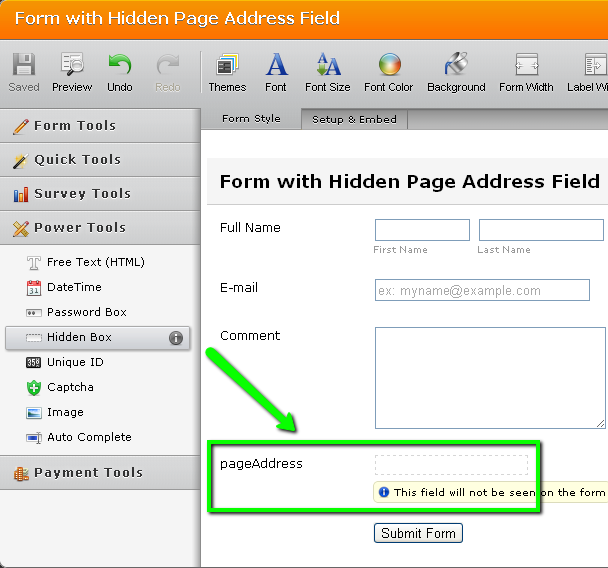 Let's say you have created a form and embedded it into several web pages. Is it possible to identify the page from which a particular submission originated? Absolutely! you would need to change 'input_5' to 'input_7'. Can this technique be used with the Wordpress plugin? That's the only way I can get the forms to work. It seems to strip out scripts. I am still struggling with this one. Other methods, using embed code don't work for me, so I gave this method a go. It saved the form fine for a change, but it lost all of the nice formatting and converted it to plain bulleted list etc. Please help me with that...i try in diferent way but still nothing. How can I receive in my emails the page from where the form was sent? This is very useful information indeed. Thanks for posting it. What if the form is being used in a Facebook fan page? Hi, quick question, can this be done with a lightbox? ?